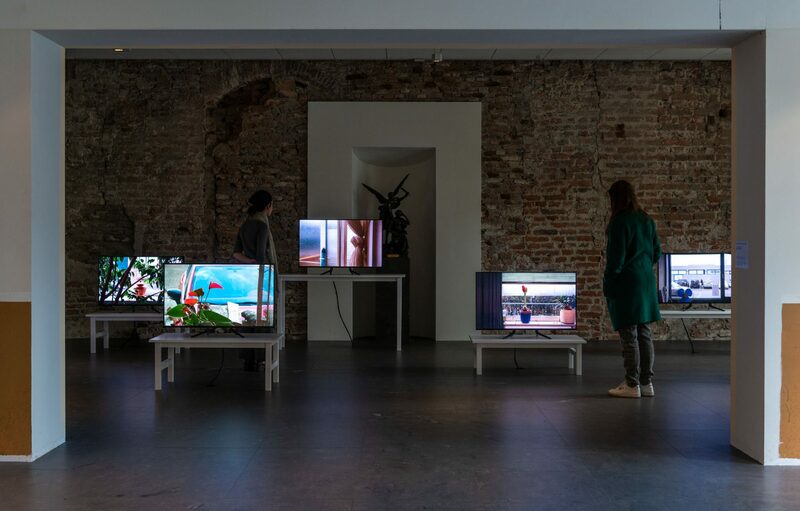 BAK, basis voor actuele kunst and Centraal Museum, Utrecht present the exhibition New World Academy, which brings together artworks, documents, and propositions from five sessions of the eponymous learning platform, realized between 2013 and 2015. Interwoven into the exhibition are works selected by artist Jonas Staal from the collection of Centraal Museum. The exhibition presents works by the Artist Association of Azawad, Moussa Ag Assarid, Concerned Artists of the Philippines, Constant, Dilar Dirik, Marlene Dumas, Michail Grobman, Hans Haacke, Manette van Ingenegeren, Lisa Ito, Crisanto de Leon, Alexander Nieuwenhuis, Yoonis Osman Nuur; Dirk Poot, Mazou Ibrahim Touré, Jan Toorop, Charley Toorop, UgatLahi Artist Collective, We Are Here, and Erich Wichmann. The exhibition display is realized in collaboration with Remco van Bladel and Paul Kuipers (Event Architectuur). During the opening conference, lecturers and participants from New World Academy present new cultural and political initiatives that have emerged from the different sessions. The conference includes contributions by Manuel Beltrán (Alternative Learning Tank); Sjim Hendrix (New World Academy); Maria Hlavajova (BAK, Utrecht); Bushra Hussein (We Are Here); Emine Igdi (PhD researcher on the Kurdish conflict); Maryama Omar Abdi (We Are Here); Jun Saturay (Linangan Art and Culture Network); Jonas Staal (New World Summit and New World Academy); and Elke Uitentuis and Savannah Koolen (We Are Here to Support). It is closed by a performance of the theater play Labyrinth by the We Are Here Cooperative of refugees and artists, developed in collaboration with Nicolas Stemann and Frascati Theater, Amsterdam. Following the exhibition of the New World Academy, Centraal Museum, Utrecht acquires the videos of lectures and key cultural documents that were used in the study sessions at New World Academy. This enriches the collection not with an artwork in the traditional sense, but with a new, developing institution founded by an artist and an art institution, which by now has developed its own archive of documents rooted equally in histories of art and political struggle. The full proceeds are used to make the fifth session of New World Academy possible. New World Academy is established in 2013 by Jonas Staal in collaboration with BAK. 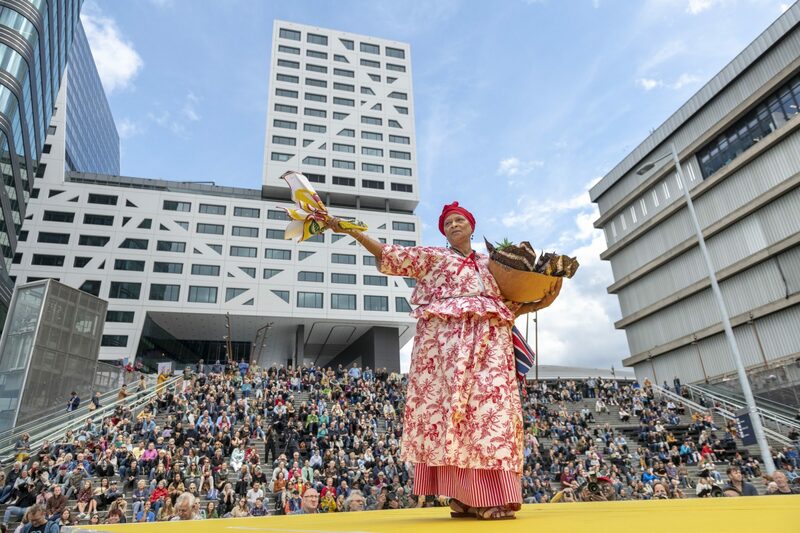 It hosts representatives of stateless political organizations to explore, together with artists and students, the role of art at the heart of political struggle. Through exhibitions at BAK, intensive three-day seminars, and public conferences, each session of NewWorld Academy brings together a diverse group of artists, art and philosophy students, writers, theorists, journalists, and human rights activists. Together, they discuss the meaning of statelessness and the role that art can assume in representing repressed histories, languages, and symbols, providing thus a possible alternative to the state. To date, five sessions of New World Academy have been organized. The fifth session is organized with the Kurdish Women’s Movement: participants discussed the organization’s proposition of a new model of “stateless democracy,” based on self-governance, gender equality, and communalism and the question of how art might contribute to instituting democracy in a stateless state. This fifth session continues to unfold in the form of different public events throughout 2015. The exhibition and the acquisition of New World Academy by the Centraal Museum take place within the context of the long-term research project Future Vocabularies (2004–2016) and its parallel program, Future Collections (2014–2015). Future Vocabularies is a key research project within the program of BAK, and focuses on the development of a new, future-oriented conceptual lexicon through which we might assess the world around us. 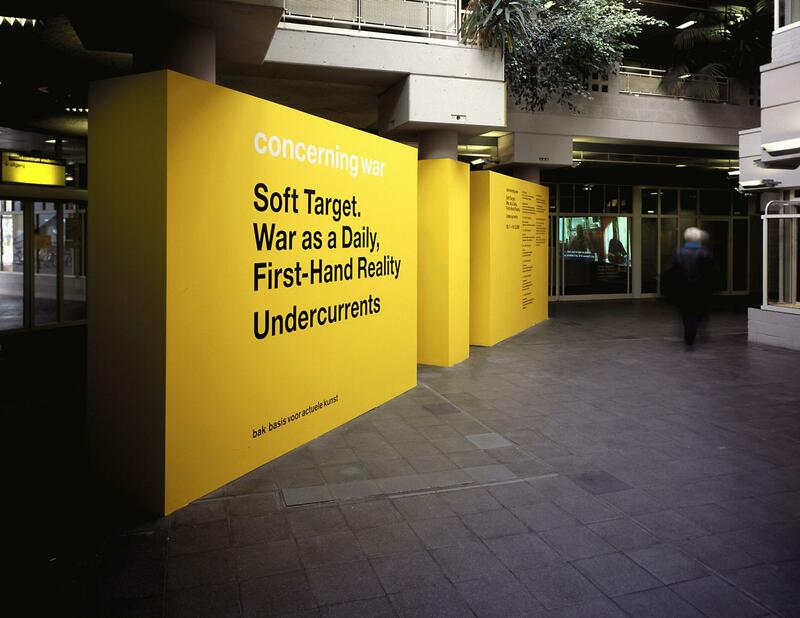 In Future Collections, BAK and Centraal Museum seek to connect the discursive and research-oriented projects developed in the context of Future Vocabularies to museum exhibitions and collections. Realization of this exhibition has been made possible by financial support from the DOEN Foundation, Amsterdam and the Creative Europe Programma of the European Union.